Parents of kids with food allergies know that the best way to avoid a terrible reaction while their child is away at camp — or any time, really — is to be crystal clear: my kid has a severe food allergy. Especially when your kid is away at summer camp, and you aren’t there to advocate for them, it can be particularly scary. 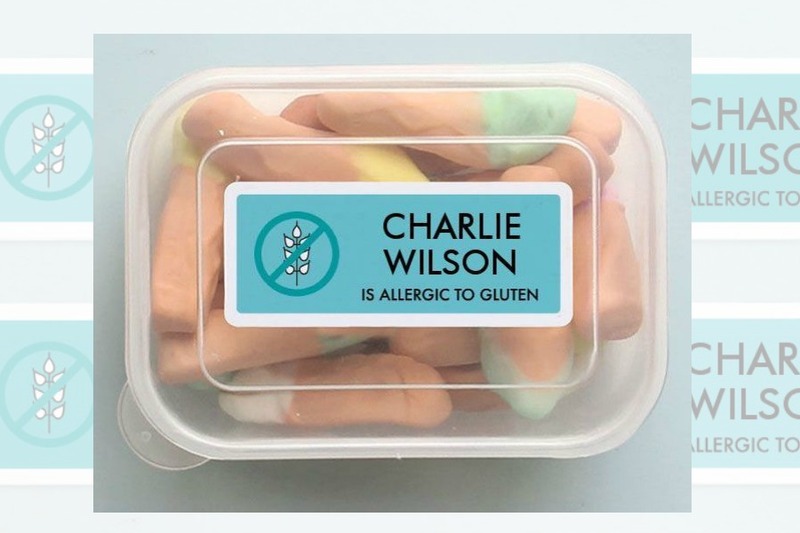 My own friends with kids with severe food allergies have described how custom food allergy labels like the ones we put together here, ease minds just a bit. Perfect for kids’ lunch boxes, snack bags, or hey, their foreheads when they’re off to day camp. We won’t judge. 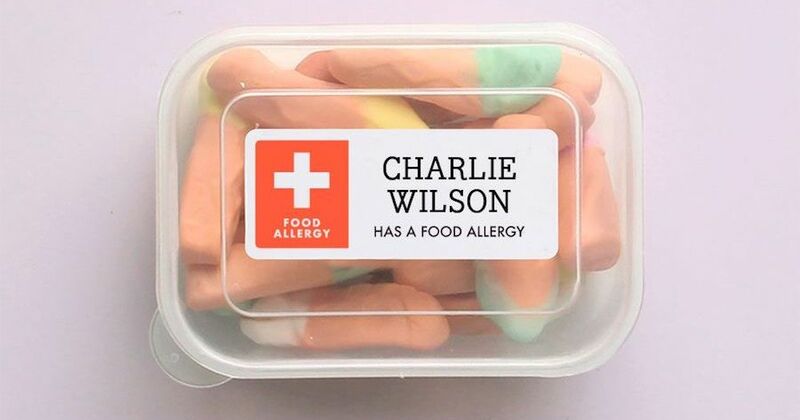 While these food allergy labels for kids all look cool, more importantly, they do their job. Any camp counselor, or fellow camper for that matter, can clearly see that a food allergy is at play when it’s lunchtime or snack time. Tiny Me has general food allergy labels that clearly alert others that your child has a food allergy. That’s great for older kids who are capable of describing it, and I like how this label, like all the ones here, doesn’t bury the warning in any cutesie way at all. 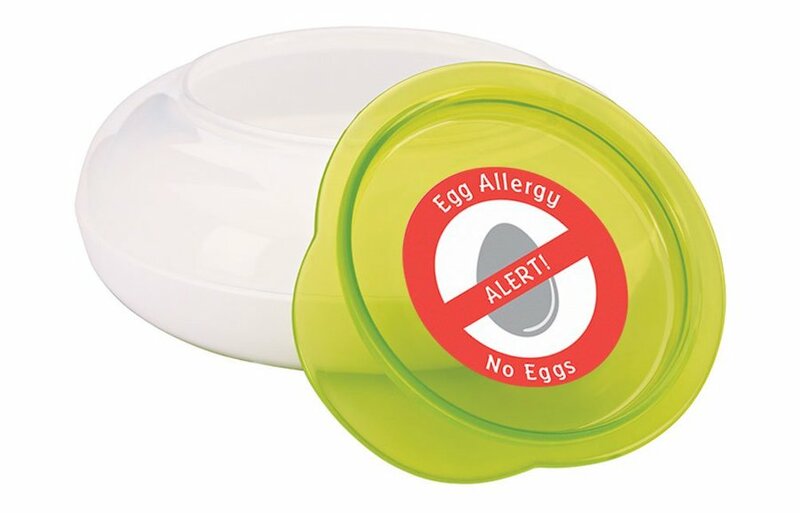 The company also offers specific food allergy labels warning about peanuts, tree nuts, dairy, eggs, and more (see photo, at very top). I’ve used TinyMe labels for my kids clothing and our water bottles, and they really do last, even through the dishwasher. Mabel’s Labels, a longtime favorite of ours, is currently offering their allergy stickers on sale for 50% off . It’s another option that makes one of 8 allergy warnings bold and clear. You can design your own if your child’s allergy is less common, or if there are multiple food allergies to contend with. 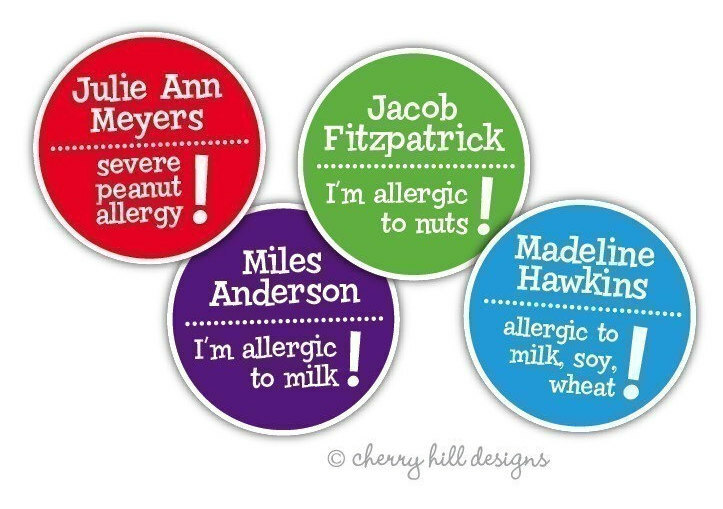 I like these custom food allergy labels for kids from Cherry Hill Designs on Etsy because you can list up to 6 allergies on a single label. And being able to add words like “severe” is helpful to be extra sure that camp counselors and other caregivers will take your child food allergies seriously. While I was joking about putting these labels directly on kids foreheads, how about a forearm? 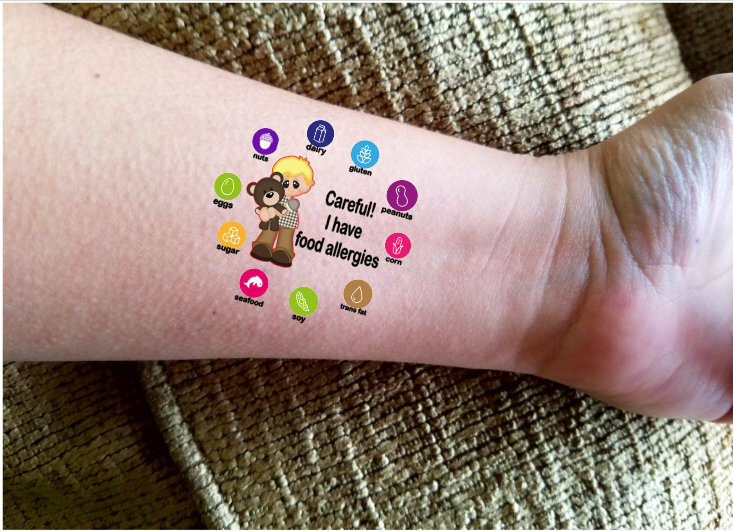 I think these food allergy temporary tattoos for kids are smart for drop-off summer activities that will likely involve snack time, or for days when the kids head on field trips with only disposable lunches in bags. You can affix the tattoo by only wetting the back over the allergies your child actually has. Alternatively, order a custom set from Katartic too that only specifies the allergies your child has, especially if it’s less common. 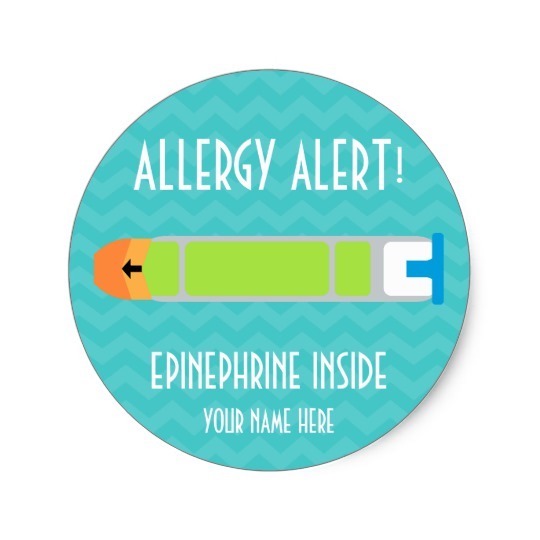 On the chance your child will need their EpiPen handy at all times, make it easy to find in their bag with this clearly EpiPen label by Lil Allergy Advocates at Zazzle. Place it right on the pouch or location of the EpiPen for the quickest possible action by any adult. Thank you for including us in your round up of Allergy Labels for kids! We are committed to helping keep kids safe at camp, school and their activities.